Previously I talked about array textures acting as "bindless" textures, but there is an actual OpenGL extension that allows a shader to access any texture without the stupid texture binding / slot convention that limits OpenGL 4.0 shaders to a minimum of 16 textures. Implemenation was surprisingly easy, although Mac hardware apparently does not support this extension. 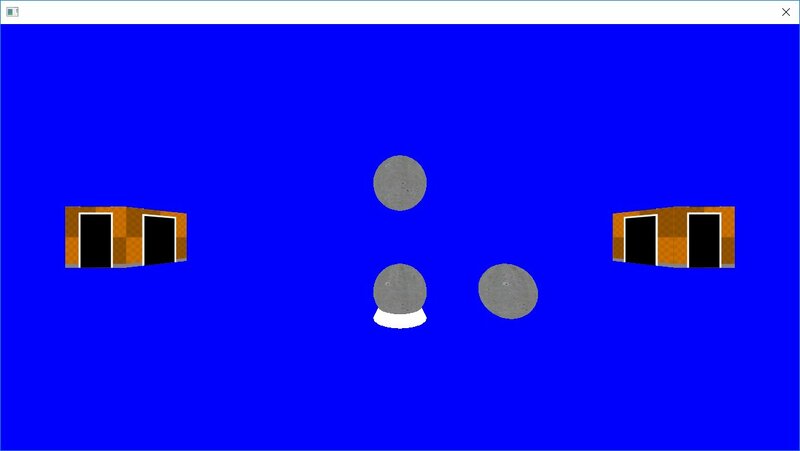 When combined with the multi-draw commands in OpenGL 4.3, and some other tricks, it is possible to render multiple sets of objects in one single draw call. Below you can see six instances of three different objects, with different materials applied to them, all rendered in one single command, for ultimate performance. This is basically the final goal of the whole crazy architecture I've been working on for over a year. I will test this a bit more, release an update for the new engine beta, and then at that point I think it will be time to move everything over to Vulkan / Metal. What is it going to mean for us noobs to switch over to Vulkan? Is that going to change anything in the shader codes or anything?